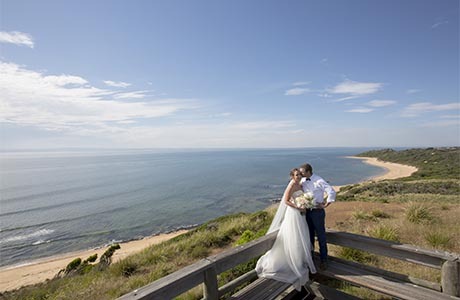 Set on the rolling hills of San Remo, the gateway to Phillip Island, Silverwater Resort is a picturesque wedding venue. When you plan a wedding a bit far away from the City with the country natural view, Silverwater Resort is a great choice. Within 80 mins driving from Melbourne CBD, it has a capacity to serve up to 400 people. At Silverwater Resort, it offers the option to have a wedding ceremony onsite. The Most popular choice is setting the arch and seat our door, facing the French Island. The uninterrupted view of the Western Port Bay and French Island is the perfect backdrop when you say I do. Silverwater Resort also has a backup for a covered option when the weather turns crazy. There are also some offsite options nearby. Trenavin Chapel, in my eyes, is one of the most beautiful chapels in Victoria. For the wedding reception, Silverwater Resort has multiple options for you. The Marquee is the preferred choice when you have a long guest list while the function room is more suitable for an intimate wedding. 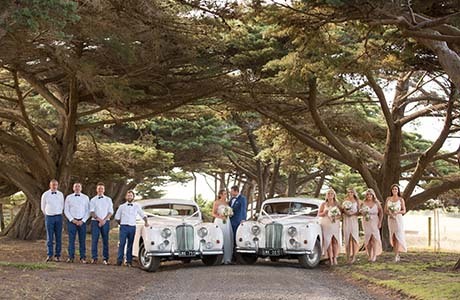 After years working in the wedding industry as a wedding photographer, Silverwater Resort is one of the best wedding venues for who are looking for a country wedding in a resort. Should you have any questions to plan a wedding at Silverwater Resort, please do not hesitate to contact us for the suggestions and information.